2016 World Cup Previews for Canada and Europe. How can Canada win the World Cup? Center-Ice Leadership – Team Canada has by far the best forward group in the tournament, but it’s down the middle that makes this group so deadly. Mike Babcock has a number of players to choose from at center, but it looks like the 4 that every team has to match are Sidney Crosby, Jonathan Toews, Ryan Getzlaf and Claude Giroux. All of these guys are Captains and #1 centers for their NHL teams, it must be a complete nightmare to have to match 1 of these guys let alone all of them on the same team. Forward Depth – The amount of depth in this group is shown with 11 of the 13 forwards on the team being natural centers, just Brad Marchand and Corey Perry are wingers. Canada has 4 lines that can score but they are also a talented defensive group that plays two-way hockey, something that has been so popular on Babcock-coached Canadian teams. Canada’s center-heavy depth on forward could be the difference that separates them from all other teams. What would keep Canada from winning the World Cup? 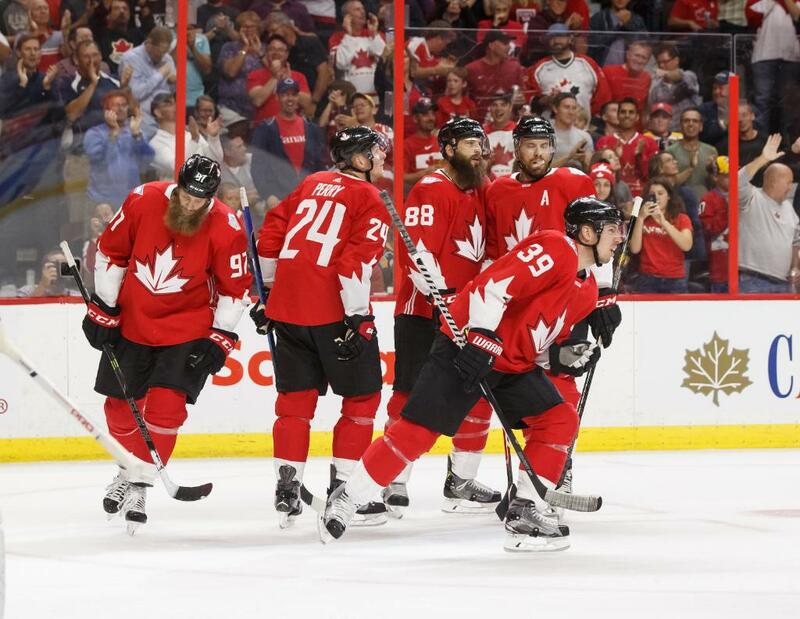 Missing Link on Defense – Canada is missing a key player in Duncan Keith, a guy who logged major minutes on both Gold-medal winning teams in Vancouver 2010 and Sochi 2014. Additionally, Canada has left some elite offensive defenseman at home (PK Subban, Kris Letang, Mark Giordano) in favour of two-way guys like Marc-Edouard Vlasic, Jake Muzzin and Jay Bouwmeester. A lot of pressure is on Shea Weber and Drew Doughty to lead the way with Keith not suiting up for the Red and White in this tournament. There’s no question about it that Keith is a big loss. Goaltending – Among the many strengths of Team Canada are the guys between the pipes, 3 very capable starting goalies including the last 2 Vezina Trophy winners in Braden Holtby and Carey Price and two-time Stanley Cup-winner Corey Crawford. But there are certainly questions around who should be the #1; Carey Price is the obvious choice, but he’s coming off a major injury and his pre-tournament start against USA the other night was his first game in almost a year. In the situation that Price does struggle, don’t be surprised if Babcock goes with Holtby or Crawford in his place. Either way, expect Price to be the guy from the start. Stars Missing-in-Action – It’s pretty obvious the amount of talent on Team Canada’s roster, but injuries have cost them the services of the highest-scoring duo in the NHL over the past three seasons in Dallas Stars forward’s Tyler Seguin and Jamie Benn. Both were considered to have a good chance at playing top 6 minutes and powerplay time for Canada in this tournament, but they will instead watch from home as Logan Couture and Ryan O’Reilly take their place. Both Couture and O’Reilly are deserving of their spots, but will missing Benn and Seguin hurt Mike Babcock’s group offensively? How can Team Europe win the World Cup? The Amazing Anze – Let’s face it; one of the main reasons this new format was chosen was to allow players like Anze Kopitar to compete on the world stage. Kopitar is the only Slovenian-born player in the NHL and has participated in just one major international tournament (Sochi 2014) coming into the World Cup. He is one of the best centers in the NHL and is the leader of this Team Europe, both as their Captain and offensively as their best player. He will be faced with the tough task of matching all #1 centers in the tournament and can be a difference-maker in any given game. Speed on Forward – International hockey has an emphasis on speed, and Team Europe is built with a lot of it on forward. Guys like Marian Gaborik, Marian Hossa, Mikkel Boedker and Mats Zuccarello are some of the fastest players in the NHL, they are key players for Team Europe that need to produce offensively. With this new tournament format Team Europe has a tough task of creating lines with having such a little past history playing together. However, maybe this unique mix of players is the perfect recipe for international hockey? Time will tell. 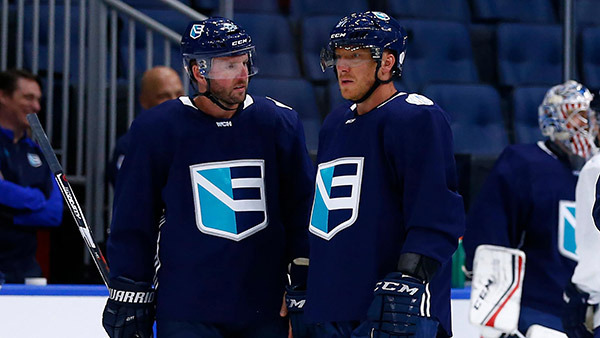 Big Z and Roman J – Team Europe will rely heavily on two players on defense in this tournament, the grizzly vet Zdeno Chara and the young stud Roman Josi. Chara has had a decorated international career for Slovakia, competing over 10 times for his home country. Despite being just 26, Josi has competed for Switzerland more than 10 times himself and has the experience to match Chara. Both of these guys will be counted on by Ralph Krueger to log major minutes in the tournament, and they both can be difference-makers offensively for Team Europe. What would keep Team Europe from winning the World Cup? Lack of Chemistry – Team Europe has an obvious disadvantage that the rest of the teams don’t have, that being they are a team made up of players from several different countries instead of one. In fact there are players from 8 different countries on Team Europe: Slovakia, Austria, Slovenia, Denmark, France, Germany, Norway and Switzerland. While they certainly have the talent to score goals, it has shown in the preliminary games the lack of chemistry that they have been able to form in such a short period of time. Old Roster – In a tournament full of young talent across the board, Team Europe has a whopping 13 of their 22 players that are 30 or over (no other team has more than 10). That means over half of their team is 30 or over, including 5 of the 7 defenseman (exceptions being Roman Josi and Luca Sbisa, both 26). While it is always good to have experience, they might have a difficult time with some of the faster teams as they had with North America in the preliminary games (losing a combined 11-3 in 2 games). Shaky Goaltending – Team Europe had only 1 player drop out with an injury in Frederik Andersen, but it was a significant one that left them without a starting goaltender and with a lot of questions in net. Jaroslav Halak has the most international experience of the 3 goalies, but he has struggled the last few years and seems past his prime. That leaves German goalies Thomas Greiss (Halak’s Islanders teammate) and Philipp Grubauer both competing for the #1 spot with Halak.